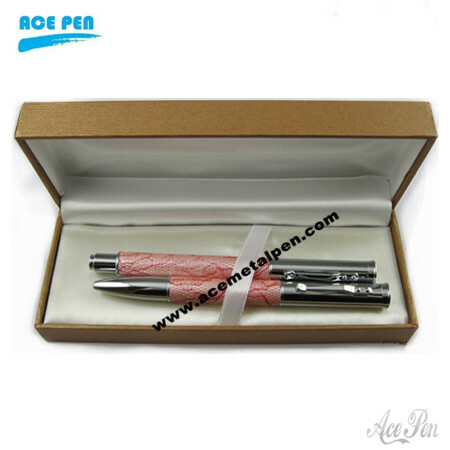 Eco-friendly Leather Pens Set,Available in Various Designs. Customized Logo Engraving or Printings are Accepted. Upper Barrel in chrome finish.